A "softphone" is a piece of software that you download to your computer, which allows you to experience VoIP technology and experiment with set up and call quality. You will also need a headset and microphone,or you could use the speakers and microphone built into your laptop (although sound quality will not be as good). 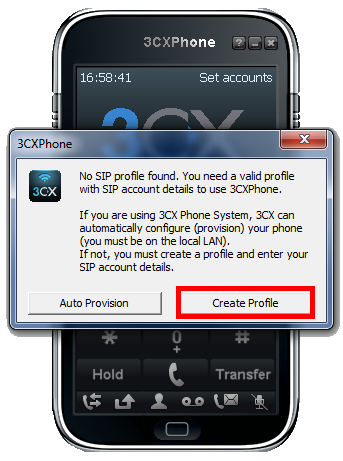 The 3CX softphone is a free application that has most of the basic features to allow you to begin making and receiving business calls. It can currently be downloaded from the 3CX website. When you have downloaded the software, you must configure it before you can make or receive phone calls - this is a fairly straightforward process and is described briefly below. Once installed, start up the 3CX program. 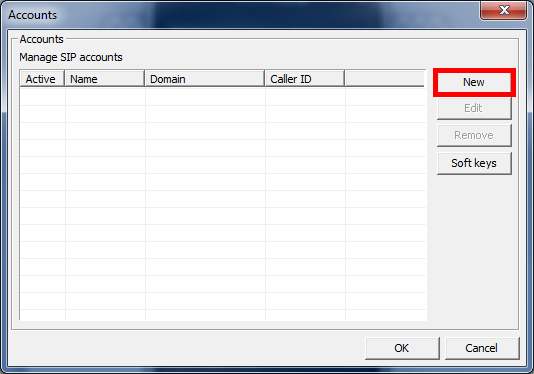 Once loaded, it will tell you that no VoIP accounts are configured. Click the Create Profile button. On the window that pops up, click New. 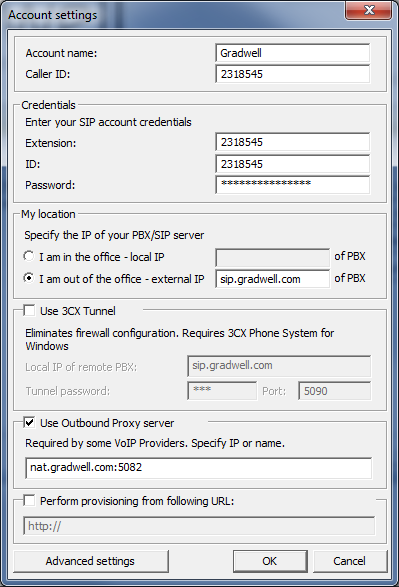 In the My Location area, select I am out of the office - external IP and enter sip.gradwell.com. If you are behind a firewall and using a private IP (see this article if you are unsure) tick the Use Outbound Proxy server box and enter nat.gradwell.com:5082 in the field below. Click OK when you are finished, and then OK again. Your account should now register successfully. If there are any problems check your password and your firewall settings.